We spend a third of our life asleep which means we spend a third (or more) of our life in our bedroom! It’s an important room and one that should be designed with comfort, relaxation and personal style in mind, so you wake up feeling refreshed and happy. The cost of a new bedroom is an important point to consider and something we get asked about frequently, so we’ll do our best to answer. Cost vary depending on a number of factors from furniture to flooring and everything in between. Seeing as we spend such a large amount of time in our bedrooms, it’s important to consider the quality and cost of products and labour. What might seem like a good deal at the time can result in unnecessary stress and costs if products are low quality or haven’t been fitted well and issues arise. This can be less than relaxing! Your bedroom is also a reflection of your personality and style. Therefore different people want different designs and features and costs can vary. This is just a snapshot of the many options available. Before someone receives a proposal from us we would invite them to come and look around our showroom for inspiration. You can see how the bedrooms look in real life, rather than just in a brochure. We can also arrange a free home design consultation where one of our architectural designers visits you in your home. They can help you visualise what’s possible. There is no obligation to move beyond the planning stage at this point. It’s simply our way of helping you imagine what your new space could look like. Our designers and surveyors thoroughly examine all the options in an open and transparent way so you can be assured that every aspect of the project and its importance is considered. We offer a full service to our customers, meaning that we take care of everything from the design to building, installation, aftercare and everything in between. Every project is bespoke and tailored to the customer’s specific needs and wants. Most customers will spend between £3,000 and £20,000 on a new fitted bedroom. While this may seem like a large range, it’s important to remember that budgets, features and designs can all vary significantly. 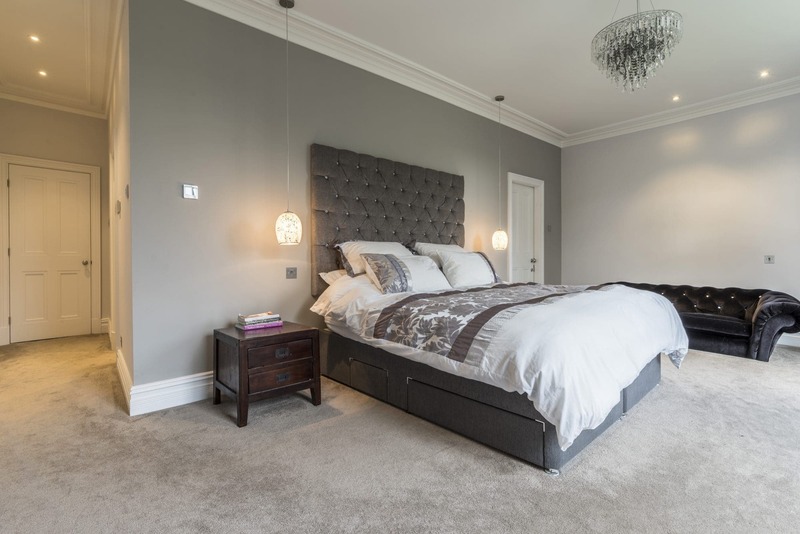 The best way to understand how much a new bedroom would cost you would be to have a chat with our designers and talk through what you’re looking for and what your budget is. This way they can not only help you picture what’s possible but also give you an accurate cost by taking into account the different features you’re after.